With the U.S. economy reeling, holiday shoppers have been the focus of heightened scrutiny. Will they turn out in droves in the wee hours on Black Friday and spend lavishly, or will they cave into recessionary fears and pinch their pennies? What are retailers doing to woo this exotic species of American shopper during a downturn? On Black Friday 2008, I decided to do some investigating of my own, which is why I found myself standing in line at a Downers Grove, Illinois, Kohl’s department store at 3:30 a.m. the day after Thanksgiving — the first of many early morning excursions that also included visits to Circuit City, Target, and Toys R Us. I’ve endured Black Friday before. It’s not an experience to be taken lightly at least in Chicago, where getting a decent place in line to buy a door buster at Best Buy can mean camping out overnight in frigid weather. But I was downright curious to see if Black Friday would be a tamer affair this time. Would I find the shopping lines longer? What kinds of bargains were consumers seeking during an economic downturn — would they buy budget DVDs instead of DVD players? Jamie, Alyssa, and Kelsey’s sentiment was typical of what other Black Friday shoppers told me. At Kohl’s, I also interviewed shopping moms Laura, Ellen, and Katherine, all of whom were wearing sweat shirts that read, “Power Shopping Team.” I asked them point blank what was so important that they needed to sacrifice sleep for Black Friday? “Power shopping is a tradition!” They all chimed in at once. Laura gushed about doing Black Friday for 14 years and enjoying the ritual of plotting their shopping visits over coffee, then driving from store to store and catching up on gossip and family news. And, boy, they had their morning planned more carefully than the Normandy Invasion. They seemed be adopting a contra-shopping strategy, buying lower-profile items like curtains at JCPenney and wash cloths at Kohl’s while the rest of the shopping mob focused on the more predictable door busters like cameras, clothing, and clicker caddies. Clearly, Laura, Ellen, and Katherine reveled in each other’s company. They shared photos of their kids stored on their mobile phones. Ellen fielded a phone call from a friend in Missouri who reported on the action at a Wal-Mart. I found shoppers like them throughout Black Friday — mostly women gathered in twos, threes, and fours, joking about the bitter coffee they brought with them from 7-11, helping each other compare product features of digital cameras, and lending a mobile phone to a shopper who needed to call her husband lost somewhere in a nearby throng. They all told me the same thing: We just enjoy the experience. Together. Inevitably, shoppers asked each other (often total strangers just marking time in line) how long they’d been awake that morning. I thought I was pulling off a minor miracle by waking up at 2:30 a.m. to prepare for the day, but a young couple in line with me at Toys R Us never went to sleep Thanksgiving night, starting their Black Friday at an Aurora outlet mall that opened its doors at 11:00 p.m. Thursday. They smiled victoriously as shoppers around them acknowledged their stamina with compliments. As I watched dawn break with a middle-aged woman from Florida and her daughter near the check-out station at Toys R Us, I remembered a presentation I heard Forrester analyst James McQuivey deliver at the October 2008 Forrester Consumer Forum. In analyzing the wants and needs of consumers, McQuivey argued that being connected is a basic need worthy of Maslow. In fact, McQuivey argued that Maslow needs to be revised to account for the intrinsic human need to share and belong, a theme that also surfaced in Consumer Forum presentations by Paco Underhill and Forrester’s Lisa Bradner. I think Forrester got it right. On Black Friday, the bargain hunting is really a means to an end. The real motivator? The shared shopping experience. Next year I suggest that retailers tap into the social nature of Black Friday and remember the Lauras, Jamies, and Ellen who wield economic clout. Promoting sales is important, but how about offering coffee, treats, and entertainment to enrich the tradition and the fun that consumers obviously seek from the morning? Imagine Best Buy offering prizes to shoppers who travel the farthest or having customers submit their own favorite Black Friday experiences for possible door prizes. Anyone else experience Black Friday? What was it like? This entry was posted in Marketing and tagged Best Buy, Black Friday, Forrester Research. Bookmark the permalink. Funny enough, I have written a post yesterday in celebration of the International Buy Nothing day (Sat. Nov 29 and Friday Nov. 28 in the US). It is about the exactly same thing that you are writing about here, but from a diametrically opposite perspective. I found the black friday ritual profoundly disturbing. 1) what you are writing about is consumerism with a social face, and 2) it is a matter of social habit formed by economic entities (companies). I claim in my post, http://tinyurl.com/5jwppt, that (people\’s) needs often get confused with their habits of products consumption/use. Social needs that you describe in your post included. The same social rewards/benefits that you describe (ritual, pride in being first, etc) can be achieved from doing something other than habitual consumption. Some more sustainable goals come to mind, like helping others, reducing poverty, or protecting the environment. I am strongly against celebrating consumerism and the social habits formed around it. David, Admire your courage and pioneering spirit. I slept till 10:00 am today. Awesome article David. Some great suggestions for social promotions. I think that\’s the kind of \”Out of the box\” thinking that some of the \”Big Box\” retailers are going to need to survive in the future. Very few are forward thinking when it comes to attracting/retaining customers. What do I know… I did my black Friday shopping online last night snagging a couple of Garmin 260 GPS units for a great price of $149 from Circuit City. Their web site is easy to use combined with the 24 minute in-store pick-up. As I said what do I know…they\’re chapter 11!! Merry Christmas!! Very interesting. As one of your German colleagues I am always curious about other country\’s traditions. In fact, we don\’t have this kind of official starting point for holiday season. But we have \’christmas markets\’ (which is a German tradition). And in fact, they are packed and social (as we drink a special, heated wine) as usual. All the best for a happy holiday season. I share Ana\’s unease with the Black Friday ritual. This is tricky because I don\’t think it\’s my place to judge how other people spend their time. Still, something seems off with this picture. The death at Walmart over a discount flat screen is an absurd reminder of how much mass consumerism has completely overwhelmed our culture. The idea that people find community through retail is depressing. What\’s more, the many challenges we face can be traced back to one thing: our addiction to debt-fueled consumerism. Check out Stephen Roach\’s article on this: http://www.nytimes.com/2008/11/28/opinion/28roach.html He sums it up nicely: \”Americans need to save. They don’t need another flat-screen TV made in China.\” This is no small problem. Many of the people you were cheek to jowl with yesterday don\’t need more stuff, but instead need to live within their means. I keep asking agencies and advertisers I interview about what the role of advertising is in a world where we need to consume less. What happens when companies choose to meet needs rather than create them, as Ana suggests? I\’ve yet to get a coherent answer. Maybe we can spend our way out of our current problems like we\’ve always done — with a few tramplings along the way as the price to pay. I have my doubts. The crowds Obama attracted are an indication people want to turn these same impulses that cause them to go to the mall in the middle of the night into something more substantial than a shot at $128 Blu-ray disc players. It would be nice to see mass action to solve some of the myriad problems we face. Those are good questions. Addressing them is a start to reforming the aspects of Black Friday that make me uncomfortable, as well, such as the way retailers treat consumers like cattle. I’m not going to judge consumers for finding pleasure in the purchase of a DVD player or joy in a shared ritual that has its roots in commercial enterprise, whether we’re buying goods at Target or shelling out money to attend a rock concert together. (It would be hypocritical of me to do — plunking down only $12.99 for Season 1 of “Mad Men” at Circuit City certainly put a smile on my face on Black Friday 2008.) What I do know is that with consumer spending accounting for two thirds of U.S. economic growth, Black Friday isn’t going to go away. So how can the experience be improved? Improved crowd control is certainly essential. What happened at the New York Wal-Mart should definitely cause any major American retailer to assess its own procedures for safeguarding the welfare of employees and shoppers on Black Friday or any other event where larger-than-normal crowds gather. My blog post yesterday, of course, is based on my own fairly tame personal experiences with Black Friday for two years running, including interviews I’ve conducted and eyewitness accounts of how retailers and consumers approach the day in one American city where I happened to live. As you can see, I’ve challenged retailers to put more focus on the consumer, not just the transaction. I specifically cited how retailers could tap into our intrinsic need to socialize and belong. But there are many more noble things retailers could do than the ideas I posted yesterday — like allowing charities to create in-store experiences at Black Friday or by providing Black Friday Bucks for consumers who donate to a cause benefitting their local community. So what would you do to reform Black Friday? 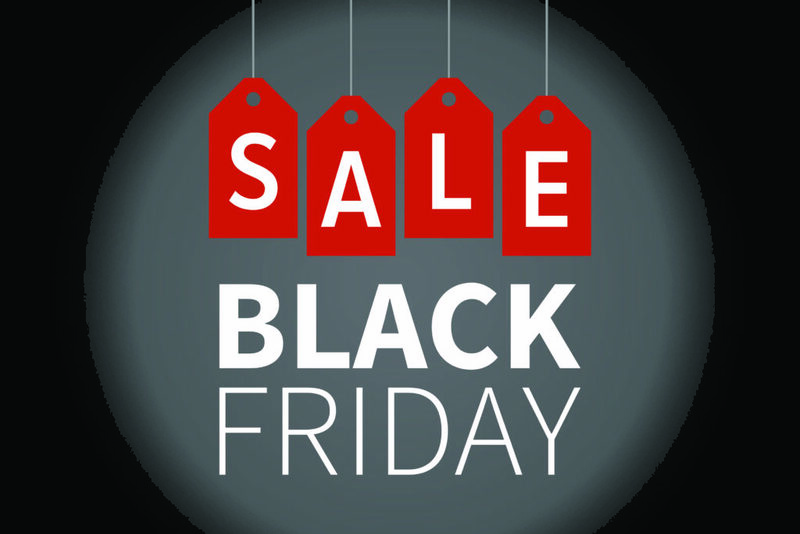 Pingback: Superhype » Blog Archive » What does Black Friday say about us?